This year’s annual meeting will take place in Minneapolis, MN on April 20-21, 2012. Listed below are all the events taking place that weekend! This exhibit will be on display during the weekend of our Annual Meeting. It has been a wonderful opportunity provided by Jana Pullman and Joanne Price and we are extremely grateful for their facilitating the exhibit! Don’t miss it! The lecture will focus on the history and development of the Guild of Book Workers through the work of Guild members, who represent the broad spectrum of the book arts. Although the Guild’s major focus has been on bookbinding, it appreciates and promotes all of the related book arts as well: hand papermaking and decorating, printing, calligraphy and illumination, and the conservation, preservation, and restoration of older book materials. Initially, the emphasis was on the traditional techniques and skills associated with fine binding. Design binding remains a strong interest in the membership and excellent examples appear in this current exhibition. 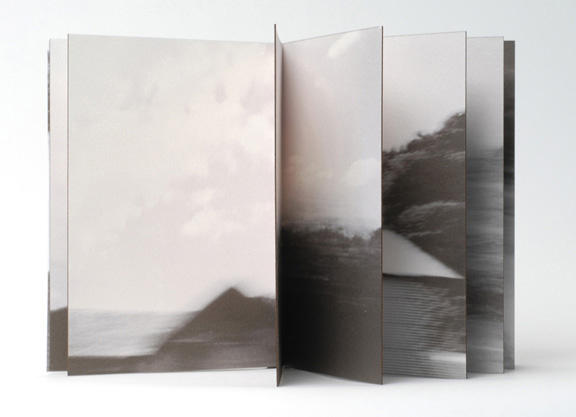 More recently a strong interest has developed in artist’s books. This broader interpretation and definition of the book has attracted a new group of devotees. Midwest Programs chair, Mary Uthuppuru. With origins in historical Eastern and Western binding structures, and popularized by Tim Ely, the Drum Leaf Binding has much in common with Gary Frost’s Sewn Boards Binding. The structure is ideal for binding single-sided folios of heavy paper. Imagery can extend across the page fold without interruption by the sewing thread. The book opens flat, with none of the imagery lost in the gutter. Though the Drum Leaf is an adhesive binding, it is very sturdy – the structure resists the commercial paperback’s tendency to tear itself apart because adjacent folios are joined at both the spine and foredge. Thus the book can never be forced open between folios, breaking the spine. Pages and cover material are “drummed” – glued at the perimeter only, so warping and cockling is minimal. The book can be made in a sparsely-equipped home studio, with the exception of some equipment or method to trim the book’s edges, necessary if edge decoration is desired. A variety of edge decoration techniques will be covered, including solid color, sprinkling, sponging, graphite and gauffering. In this one day workshop, students will complete one Drum Leaf model from a kit provided by the instructor, and have the opportunity to make a collection of edge decoration samples. and time to be announced. Handmade paper is so much fun, messy but very fun. This hands-on workshop will introduce participants to the coloring and dye techniques that are the hallmark of Cave Paper designs. We will explore the use of indigo, walnut and persimmon dyes on flax paper. Additional experiments will include pigment staining of paper, stencil printing of thickened dyes, gelatin sizing and rice paste resists. 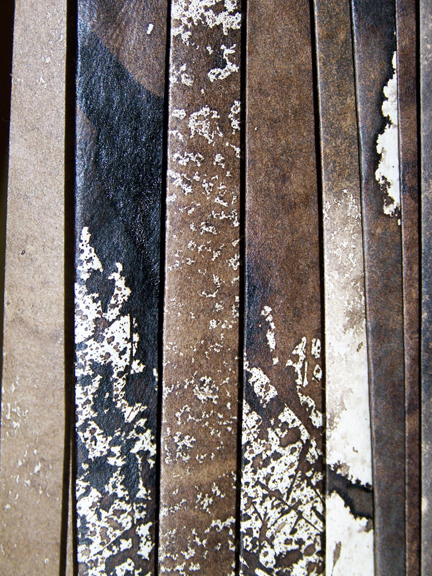 We’ll make some handmade paper during the workshop, but many of the dye techniques work best on dry paper. Therefore, we’ll have a generous stack of flax paper to play with and experiment on. Feel free to bring your own papers for trying the techniques. Information for accommodations and Friday tour options will be announced soon. This entry was posted in Annual Meeting, Events by midwestgbw. Bookmark the permalink.